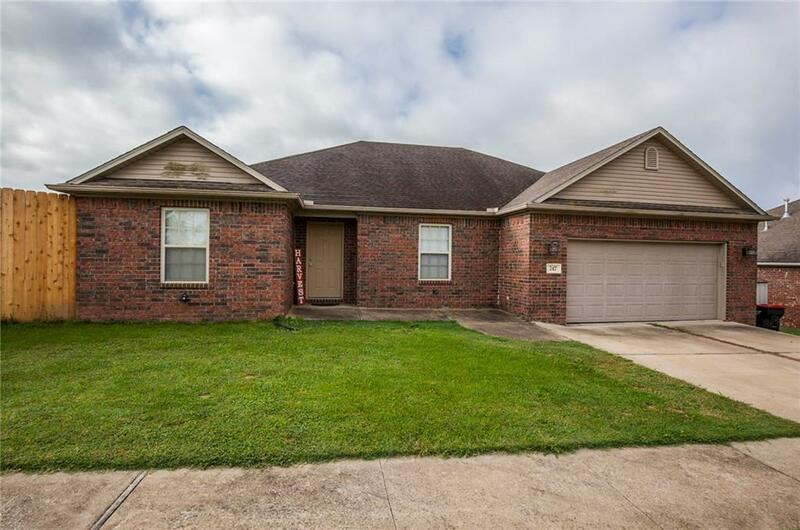 747 Hickman DR, Pea Ridge, AR.| MLS# 1092729 | Garfield Beaver Lakefront and Resort Homes for Sale and Northwest Arkansas homes representing buyers and home sellers for all of your real estate needs. Free MLS property search. What a cozy home!! This lovely home is nestled in a great neighborhood just minutes from the high school and city park. Large kitchen with tons of cabinets, nice open living room, large master suite with huge tub and separate shower, 3 bedrooms and an office space! The backyard is gorgeous and very spacious with a large covered porch. Plenty of room to play with your kids or entertain with friends and family! This home is ready for a new family now!